KUCH­ING: Naim Ga­muda (Naga) JV Sdn Bhd added an­other feather to its cap when it won the Le­buhraya Bor­neo Utara’s (LBU) project as­sess­ment sys­tem (Pro­jas) award for its Pan Bor­neo High­way work pack­age. 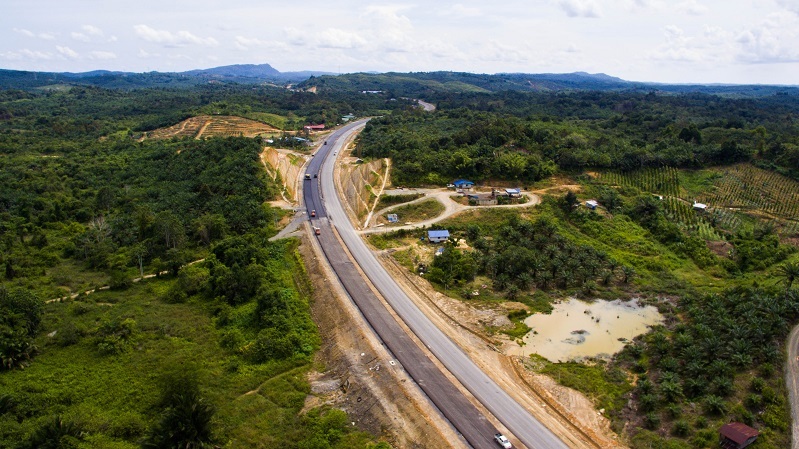 Naga’s work pack­age, WPC 04, a 89.4km sec­tion from Pantu Junc­tion to Batang Skrang, Sarawak, was ad­judged the ‘Best Over­all Per­form­ing Works Pack­age’ for the Pan Bor­neo High­way project, for the pe­riod July to De­cem­ber 2018. Pro­jas is a tool to mea­sure and eval­u­ate the works pack­age con­trac­tors ( WPCs) on their con­struc­tion man­age­ment com­pris­ing 10 as­sess­ment com­po­nents which in­clude among oth­ers, works plan­ning, risk, con­tracts and health, safety en­vi­ron­ment and qual­ity. Ac­cord­ing to Sim Kwong Yong, vice pres­i­dent of oper­a­tions for Naim Group of Com­pa­nies, no ef­fort was spared for the project. “The Pan Bor­neo High­way project is an im­por­tant one for all Sarawakians. As such, we were not only driven by our quest for ex­cel­lence but more so, by our pas­sion to build some­thing that all Sarawakians can be proud of,” said Sim. Sim thanked that Project De­liv­ery Part­ner LBU for its guid­ance and all team mem­bers who have helped to make this achieve­ment pos­si­ble.